Welcome back. Forgive me, but I hope today’s blog post depresses you. How did we ever elect Barack Obama when racial discrimination is so persistent? Research collaborators from Northwestern and Harvard universities, the Paris Institute of Political Studies and the Norwegian Institute for Social Research recently published a report on their study of hiring discrimination against African Americans and Latinos. 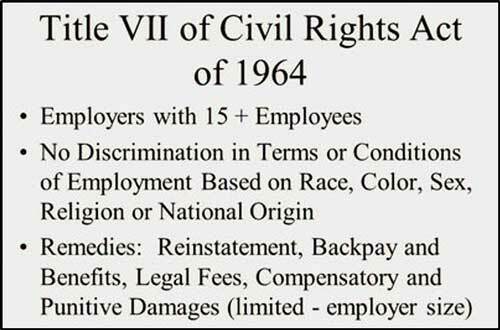 aspect of employment, including hiring. The field experiments included both resume audits and in-person audits. For resume audits, indicators of race, such as racially identifiable names, are randomly assigned to otherwise similar resumes submitted online or by mail to employers. For in-person audits, racially dissimilar but otherwise matched pairs of trained testers apply for jobs. Resume and in-person audit methods both provide a strong basis from which to draw conclusions about hiring discrimination. The researchers initially identified 34 US-based field experiment studies of hiring that contrasted white and nonwhite applicant profiles in near equivalent labor-markets (e.g., education, experience level). Of those, screening yielded 24 studies containing 30 estimates of discrimination against African Americans and Latinos from 1989 to 2015. Together these 24 studies represented 54,318 applications for 25,517 positions. Hiring discrimination was measured by callbacks—invitations to the applicants to interview. A discrimination ratio for each study was computed as the ratio of the percentage of callbacks received by white applicants to the percentage of callbacks received by African Americans or Latinos. A meta-analysis was then applied to aggregate the ratios over the years and estimate the trend in discrimination. On average, white applicants received 36% more callbacks than equally qualified African Americans. The trend analysis showed no evidence of change over time in the rates of hiring discrimination of African Americans. Compared to Latinos, white applicants received 24% more callbacks on average. Although the trend over time showed some evidence of a decline in discrimination, the small number of Latino field experiments (only 9) had a high level of statistical uncertainty. The researchers allow that hiring discrimination may have dropped substantially in the 1960s or early 1970s, at the height of the civil rights era. Yet the hoped-for cultural change and reduction, if not elimination, of discrimination from 1989 through 2015, is not observed, at least, in hiring. They conclude that their study results point toward the need for strong enforcement of antidiscrimination legislation and provide a rationale for continuing compensatory policies like affirmative action to improve equality of opportunity.